Omni Tanker is certified to the latest ISO 9001:2015 standard. According to Managing Director, Daniel Rodgers, the company successfully demonstrated its ability to consistently provide products and services that meet the highest quality standards and committed to the concept of continuous improvement. 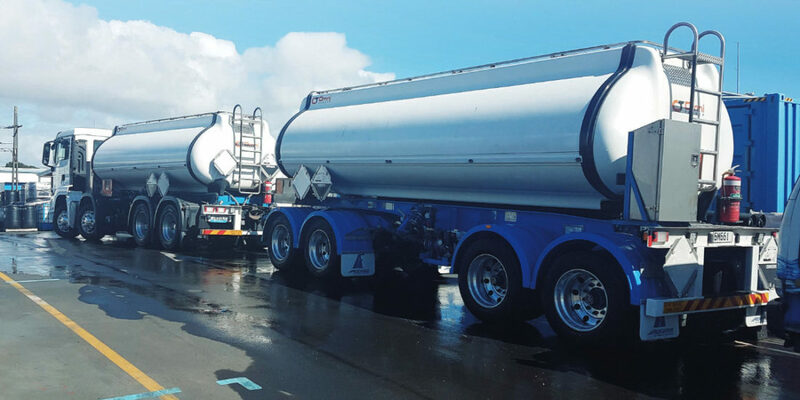 The first Omni Tanker unit to travel across the Tasman was a truck-and-dog unit designed for Jasol, a company specialising in the manufacture and supply of cleaning and hygiene solutions for food manufacturing acilities, supermarkets and industrial applications in New Zealand and abroad. It arrived in Christchurch last month and has now gone into peration, “dramatically increasing” the company’s logistical capabilities from day one, as General Manager, Geoff Polkinghorne, points out. 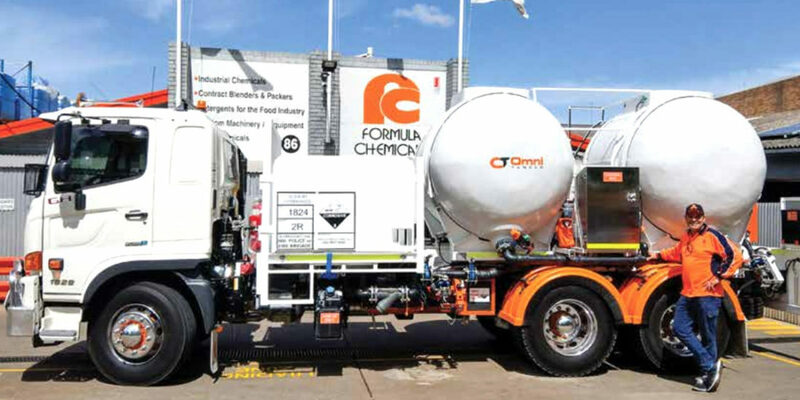 Omni Tanker’s expansion to New Zealand is capping off an impressive year for the young brand, which has been dominated by the development of new products for the European market based on the company’s increasingly popular core technology. 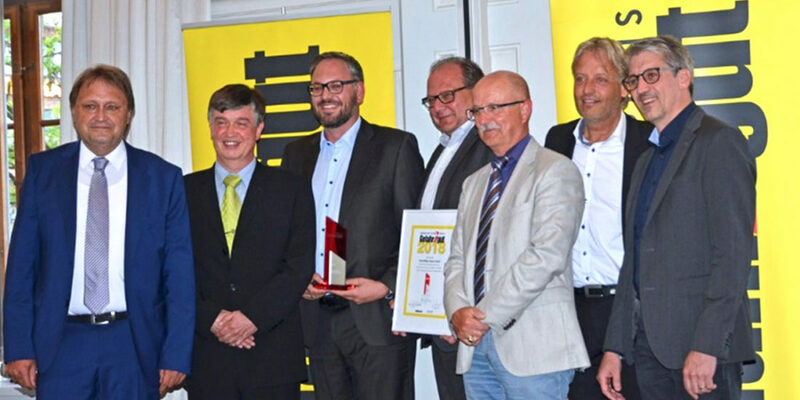 In a rare case of an Australian OEM breaking into the European market, Omni gained European ADR approval for its CFRP tanks and commenced export to Germany in cooperation with German tanker specialist, Kurt Willig – an achievement recognised with the 2016 Innovation Award at Expo Petrotrans, Germany’s largest petroleum logistics event. 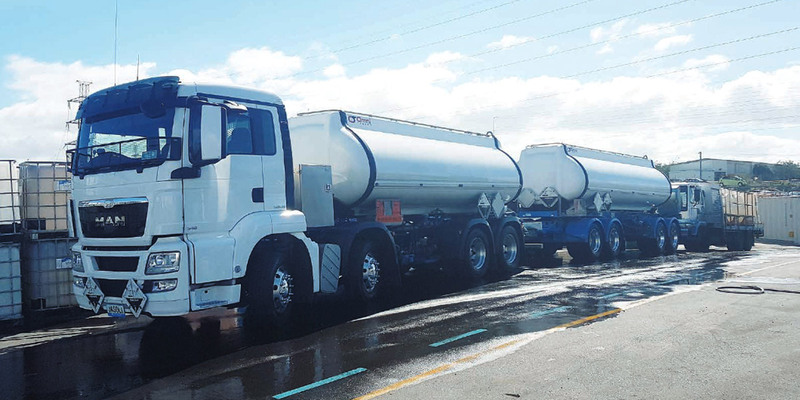 Daniel says Omni Tanker collaborated with MaxiTRANS Australia for the design and manufacture of the Dog trailer, knowing the company’s well-developed local service network would be well suited to supporting Jasol in an important growth phase. “MaxiTRANS has a well-established brand in Australia and New Zealand, so involving them made sense,” he says – revealing that the time from initial inquiry to commencing the build was very compressed. “We normally have a long ‘incubation period’ from enquiry to order, but Jasol needed to move fast, so we sped up the whole process dramatically, commencing the build within two months of the enquiry, which also included a new Dangerous Goods approval to NZ standards. “To us, providing that kind of responsiveness and complete service is just as important as delivering a high performance product – we want to change the game on every level. Omni Tanker’s carbon composite tanker features a seamless thermoplastic interior that reduces absorption to a minimum and enables easy wash out. 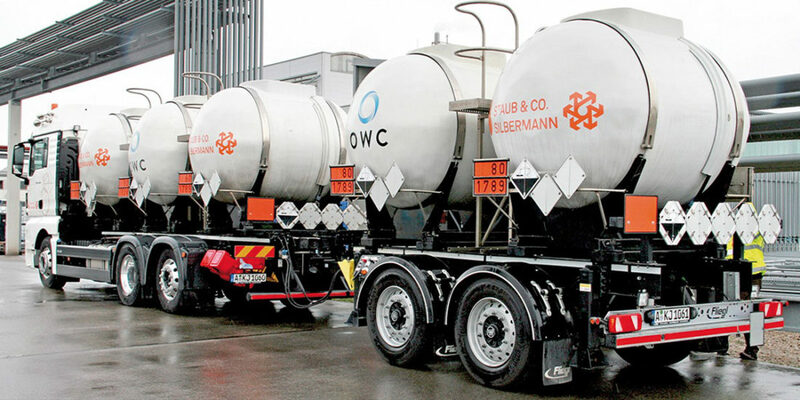 The result is a versatile tank that allows transport businesses in the chemicals industry to switch safely between different products following wash out.